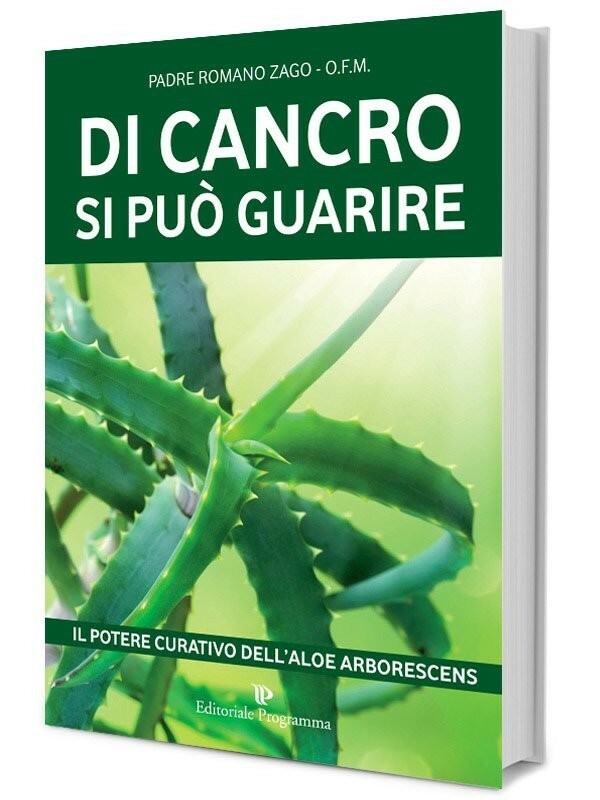 Fresh juice of Aloe Arborescens, Father Romano Zago recipe, super-concentrated version with much more Aloe, less honey. NO-GMO product, gluten-free, no preservatives, not cooked. This juice is the super-concentrated version of the original recipe by Father Romano Zago. The name "super-concentrated recipe" indicates that the juice is prepared with an inverse quantity of Aloe (60%) and honey (39%). 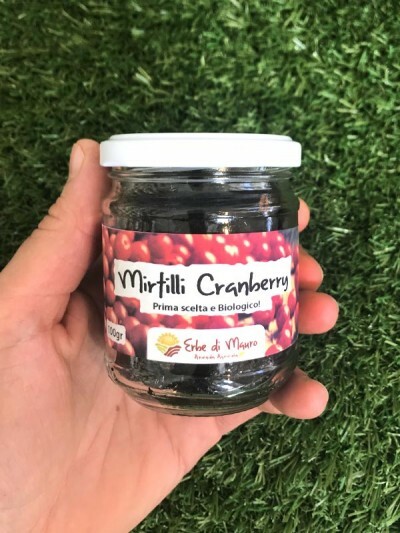 Compared to the classic recipe is recommended for those who need to reduce sugar intake (for example, if you are suffering from diabetes or serious liver disease). It must be stressed that, containing less honey, the super-concentrated recipe is definitely more bitter than the classic recipe. 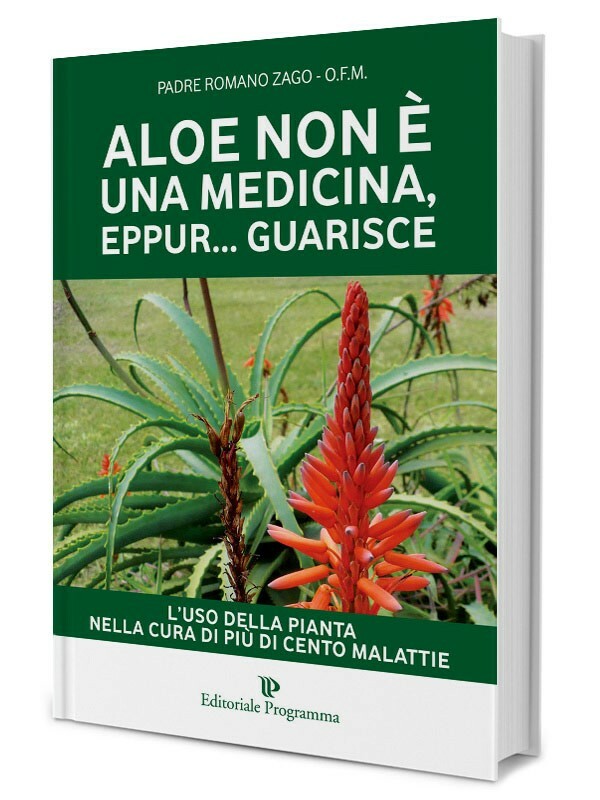 Furthermore, containing more Aloe, it has a stronger depurative action in the intestine, in the very first consumptions, especially for those who are not used to taking the Aloe Arborescens juice, it can result in diarrhea. 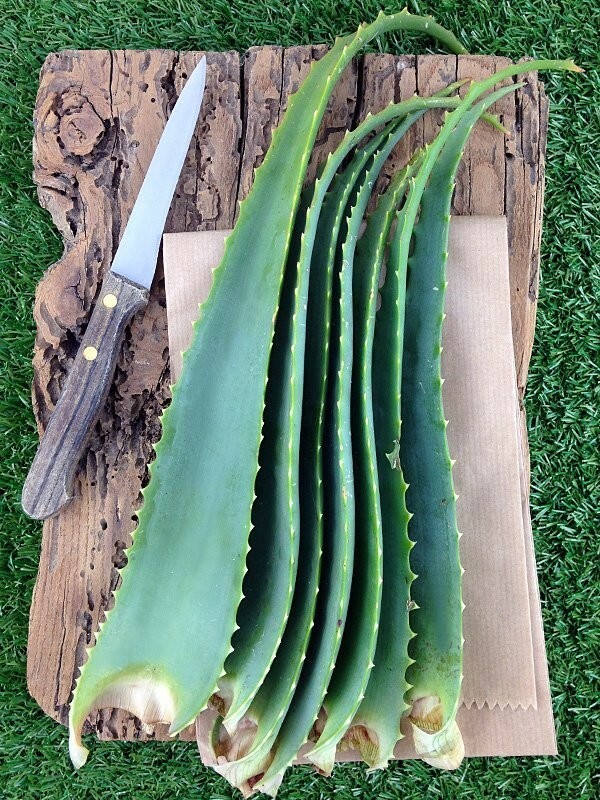 For this reason, we recommend, to those who take our Aloe juice for the first time, to start with the classic recipe. Once the first package is finished, you can then test the effects of the super-concentrated recipe. Why does Father Zago use Honey? 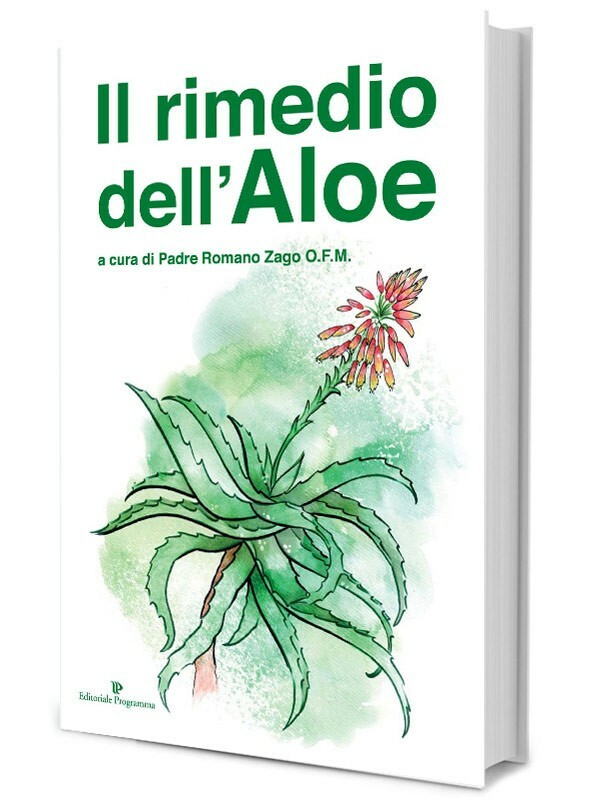 The recipe of Father Zago is the best solution to take the fresh Aloe Arborescens, without using preservatives or processing that alter the properties of Aloe. 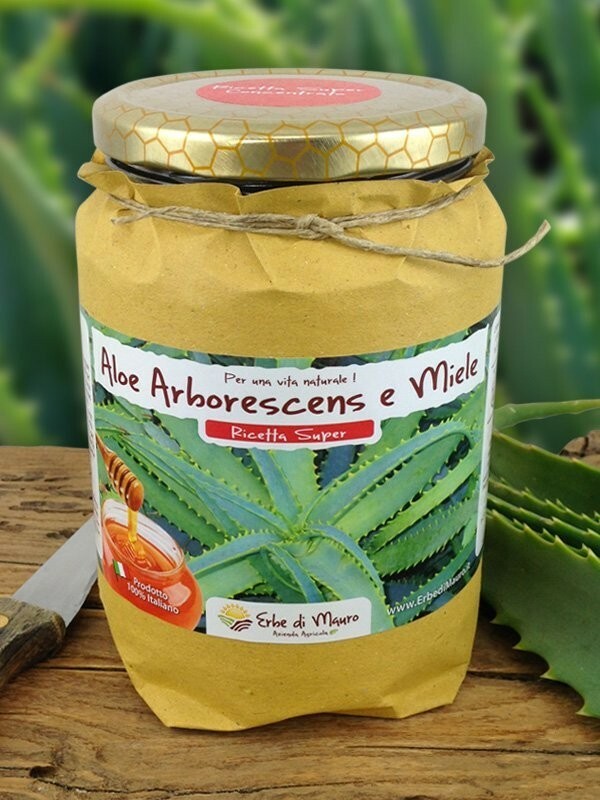 The honey used in this recipe is of fundamental importance, both to correctly maintain the compound as well as to strengthen the properties of the aloe as honey promotes the spread of the aloe in the body and maintains its properties unaltered. The product is freshly made and for a greater preservation it should be kept in the fridge (possibly in the lower part of the fridge). If well preserved it is best used within up to 45 days, Do not expose the juice to intense light and do not remove the paper around the container. It is advisable to take the juice with a steel or plastic spoon, do not drink directly from the bottle.